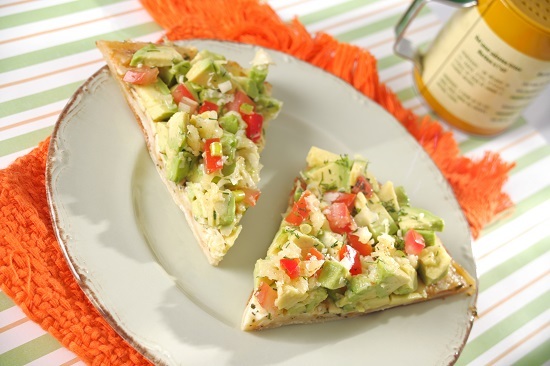 The classic combination of avocado and tomato served up on a crisp pita. Gently mix first 8 ingredients until just combined . Arrange pitas on baking sheet. Spray each with cooking spray and sprinkle lightly with chili powder and cumin. Broil 2 minutes or until slightly crisp. Spread half the avocado mixture on each and top each with 1 tablespoon cheese. Return to broiler for 1 to 2 minutes or until cheese is melted.